Every Easter weekend, thousands of people flock to Cape Town. Not, as one might imagine, for the chocolate and superb hot cross buns, but to pound the pavement. 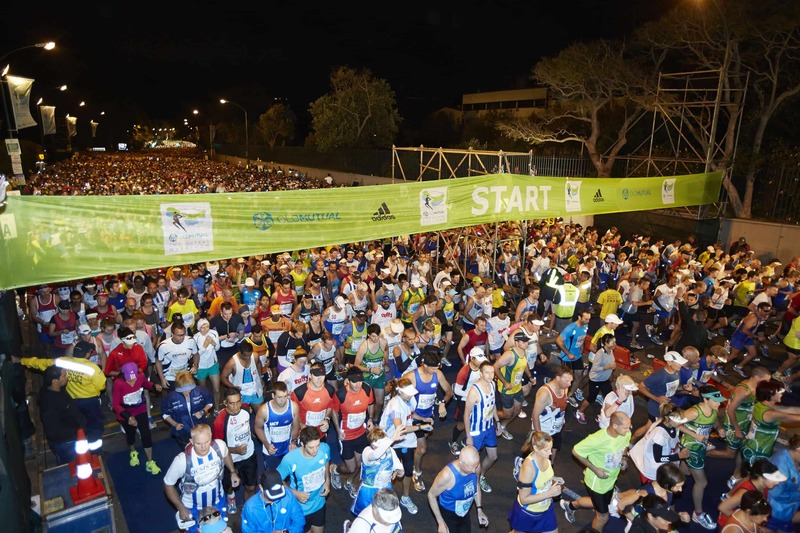 If you’re looking for an excuse to visit the Mother City, the Old Mutual Two Oceans Marathon is as good as any! 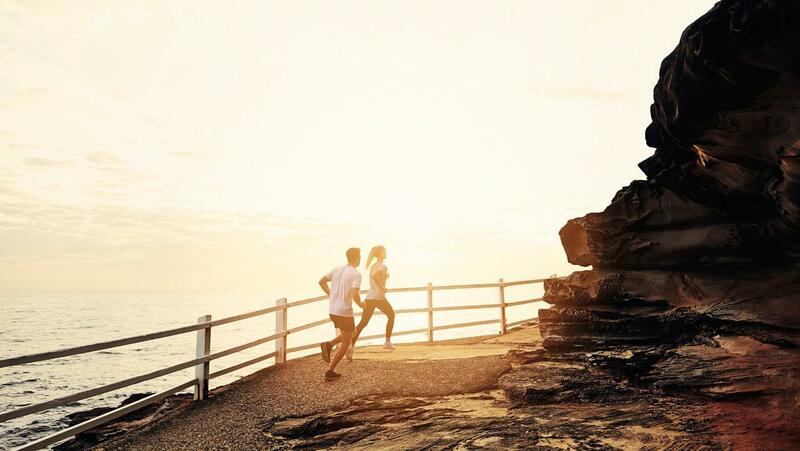 Dubbed ‘the most beautiful marathon in the world’, the Two Oceans Marathon is more than just one race, and you can take part whether you’re a novice or a seasoned runner. Trail runs: The trail runs, which take place on Good Friday (14 April 2017), are so popular that the entries sell out within hours. Both the short (12km) and long (22km) trail runs start at the University of Cape Town before taking runners up into nearby forests and along the slopes of Devil’s Peak. The routes are quite challenging and runners are required to carry some compulsory gear. Fun runs: These runs, which also take place on Good Friday, give families the opportunity to get in on the fun. There are 2.1km and 5.6km races, as well as a Nappy Dash (56m) and Toddlers’ Trot (300m). Half marathon: The half marathon (21.1km) starts at 6am outside SA Breweries on the Main Road in Newlands. It attracts a whopping 16 000 runners, so it’s a good idea to get there early! The half doesn’t actually take you past either ocean; instead you’ll run through the leafy southern suburbs. Due to the congestion, you’re not likely to run a personal best, so relax and enjoy the roadside entertainment and support from Cape Town locals along the route. The cut-off time is 9:20am, so don’t take it too easy. Ultra marathon: There’s no sugar-coating this – 56km is far, very far! The upside, though, is that by covering that distance on foot, you’ll really get to see what Cape Town has to offer. The race takes you all the way to Fish Hoek, through Noordhoek, along Chapman’s Peak, through Hout Bay and Constantia, before going past Kirstenbosch and ending up at the University of Cape Town. There’s plenty of beautiful scenery to distract you from the pain. The ultra, which has been run since 1970, attracts 11 000 runners each year! The Expo: All entrants have to pick up their race numbers and race packs at the Expo, which is held at the Cape Town International Convention Centre on the Wednesday, Thursday and Friday before the race. It seems that – no matter when you choose to go – there are always queues, but they move pretty quickly. Once you have your number and your bag of swag, check out the Expo. You’ll find top sporting brands, apparel, supplements, outdoor adventure sports and sporting tours. While race day isn’t the time to try out anything new, this is a great opportunity to stock up on your favourite race snacks and get that last-minute chafe stick. Carbo-loading: Unless you’re on the Banting bandwagon, you’re probably going to want to do a little carbo-loading ahead of the race. No one does carbs better than the Italians, and Cape Town has a number of fantastic restaurants where you can get your pasta fix. Posticino in Sea Point, with its generous portions and reasonable prices, is a firm favourite. If you’re in Gardens, you’ll want to try Nonna Lina, which offers up thin-based wood-fired pizzas and pasta with a Sardinian twist. For a quick bite to eat, pop in to one of the many Col’Cacchio restaurants – the founding branch in the Foreshore is a good bet, and they even have a selection of Banting meals! You can’t go wrong with the pizzas at Burrata in Woodstock (they are baked in just 90 seconds in a super hot oven), and, as the recipient of the 2016 Eat Out Best Italian Eatery award, Il Leone Mastrantonio in Green Point is not likely to disappoint. One final training run: If you want to loosen up your legs ahead of the big day, the promenade in Sea Point is a great option – it’s flat and scenic. International athletes can also take part (for free) in the International Friendship Run, which is a 5.6km run or walk through the City of Cape Town. Since the marathon doesn’t actually go through the city, this is a good opportunity to see some of the famous landmarks. Family and friends who are not running the race can also join in for a small fee. Admittedly, the thought of beer at the end of the race might not work for everyone. If you’ve just slogged your way through 56km, you might want to hit the physio tent at the finish before heading back to your hotel to shower, sleep, and then inhale all the food. All of it. But, if you had a great race and can still walk – or hobble – at the end, you might be up for a few celebratory beers. Foresters Arms Restaurant and Bar or Forries as it is affectionately known) is situated within walking distance of the finish, has the largest selection of draught beer in the Cape, and is always buzzing on Easter Saturday. If Forries is too crowded, the nearby Barristers Restaurant is a decent alternative. Think pub lunches, 24 draught beers on tap, and 50 wines by the glass! If you parked near the start and are heading back to your car, The Toad & Josephine, which is situated opposite Newlands Rugby Stadium, promises hearty burgers and a festive atmosphere.